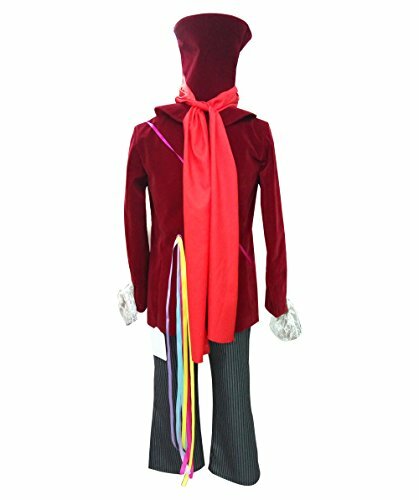 Halloween is approaching soon, don’t wait until the last minute, purchase this costume today and be ready for your next Halloween party! Become the supervillain from Alice’s Adventures in Wonderland sequel, Through the Looking-Glass. 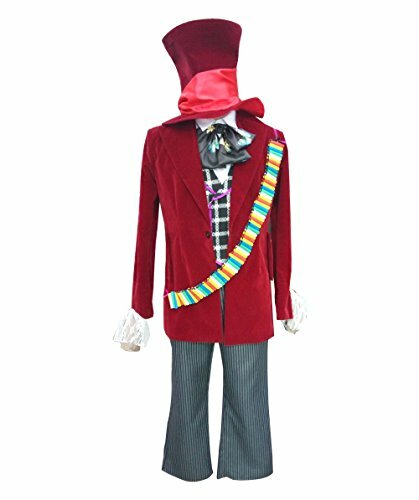 This deluxe Mad Hatter costume comes fully complete with the Mad Hatter’s eccentric and loud hat, shirt, bow tie, jacket, vest, bandolier, pants, scarf, and ribbons! The color that appears on your monitor could vary from the original color of the costume due to different monitor settings. 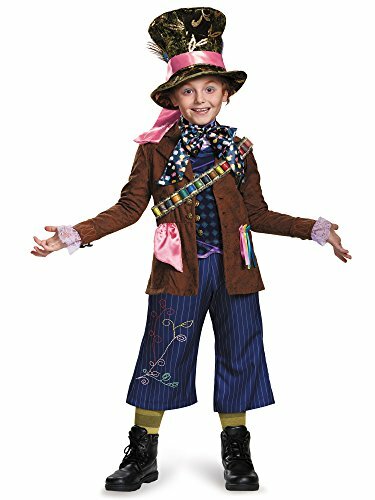 Mad Hatter costume for children, which includes a jacket, shirt/vest combo, pants, cravat, sash, pocket ribbon, and hat. 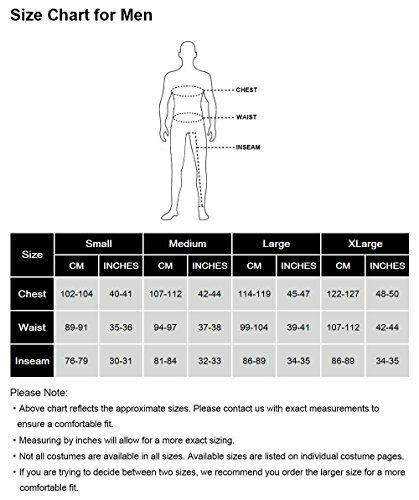 Luxurious 100% wool Victorian top hat.